Of the infectious diseases that affect mankind, most are zoonotic; they have an origin from another species. Tuberculosis, which now infects 1/3rd of humanity, likely jumped from domesticated goats and cattle. Measles probably evolved from canine distemper and/or the Rinderpest virus of cattle. Other zoonotic nasties include Babesiosis, Borrelia (Lyme), Nipah, Hendra, Malaria, Hantavirus, Ebola, Leptospirosis, Q-Fever, bird flu . . . the list is long and growing. 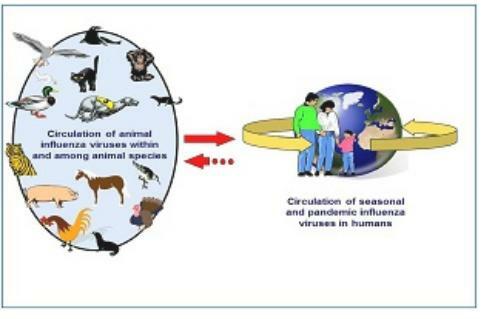 Roughly 70% of the infectious diseases that afflict man are believed to have begun in some other species, and new ones (think Zika, MERS-CoV, H7N9, H5N1, SFTS, etc. ) continue to show up each year. On Thursday of this coming week the CDC will hold a COCA Call on understanding the drivers of zoonotic diseases.